It’s, in my opinion, (and listening to modern records) the most difficult frequency area to nail reliably. Fat means different things to different people. 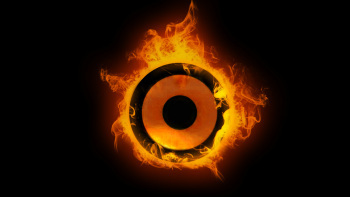 If someone tells you that a mix is bass light, they’re not telling you much. For example, the club DJ and the iPod listener are going to have different opinions of what sounds fat, given that the club’s speaker system generates so much 30hz it will loosen the elastic in your underwear and that the iPod listener hears little below 70Hz. You need to define your own brand of fat and learn to translate other people’s vision of it. 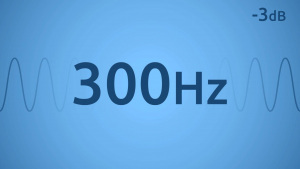 A good way to teach yourself what-is-what in the low lane is to insert the SONNOX filter plug-in on some music that you think sounds great, set the hipass filter to 36db/octave and slowly start raising the frequency knob up from 20 to 400Hz and back down. 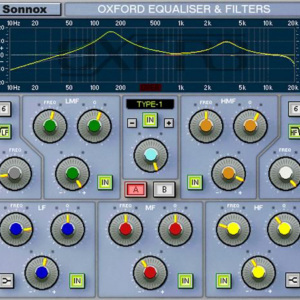 The SONNOX filter is very clean, so as you go up in frequencies, and as they get killed by the filter, you’ll be able to clearly associate various frequency numbers with various colors. Try it now. Go ahead. I’ll wait. Interesting no? I find that this works much better at pointing out crucial spots in the low end than the traditional over-boosting of one narrow band of frequencies. Here’s an exercise: On a mono channel of your DAW, create a 1000Hz sine wave tone at, say, -6dB. Now insert the SONNOX EQ, select type 1, set a band to 80Hz, Q of 10. Ok, now boost the EQ gain like real men do, say 20Db. What happens? No cheating , try it for yourself. Right. Nothing happens. Zilch. Nada. Rien du tout. Because an EQ can’t really make stuff up. It can only enhance what is already there. Dig? 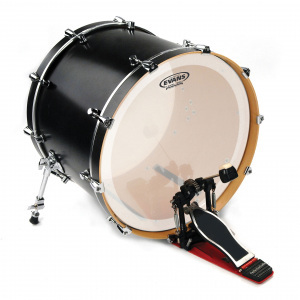 But what of your bass drum? This is the part where an EQ won’t help you much if you, like most people, were not born with the innate knowledge of what a bass drum should sound like in solo. If you feel unable to imagine the final bassdrum sound by listening to the raw one BEFORE you touch the knobs, skip to the appendix for tips on how to form a good mental picture of what to aim for. Since we know, thanks to our simplistic example, that an EQ won’t create sound where there is nothing, you should first figure out if you have what it takes down there, before you start boosting around (That’s what she said). So, solo the bass drum. Go ahead. If you can’t quite tell what is going on by just listening to it, use the filtering method we tried earlier. If the bottom end is lacking (Like, for example when you hear no difference when sweeping the filter from 20 to 90Hz), you have two options: either replace the bass drum by another one, or use some DBX120 style low-end generator. And then skip to the next step. 1/The traditional way: boost what you want to hear. Move on. Brutish but efficient. 2/ The other way, which we discussed last time: carve out the stuff you don’t want and simply boost the fader to make up for the loss of level. If you are disappointed because I didn’t set you up with an answer like: for the perfect bass drum, take the SONNOX EQ, type 3, boost 5dB at 80Hz and 9.9k shelf, cut 4.8dBs at 250 (Q5.6) and hope for the best- I’m sorry, but it just doesn’t work that way. That’s why presets rarely work for EQ plug-ins, and that’s probably the good people at SONNOX did not bother supplying us with any.